Originally from Winnipeg, Manitoba, Alex moved to Vancouver at the age of 12. Before that, his family continuously moved around Canada, USA, France, and Mexico. Through these experiences, he grew his love of travel and meeting new people from different cultures. This led him to pursue a career in tourism when he started guiding 4 years ago in various attractions around Vancouver. Over the last few years, Alex has developed a love for photography which led his to start guiding for Boutique Traveler Vancouver. He has a bachelor’s degree in Archaeology from Simon Fraser University and is very passionate about local history and most especially, First Nations history of British Columbia. During the weekends, you can find Alex hiking, camping, and enjoying the beautiful forests around Vancouver. Jessilyn is a psychology student at Simon Fraser University with a passion for the outdoors and a drive to connect with other people. Through a love for the Pacific Northwest, she cultivated a love for photography and creating memories. 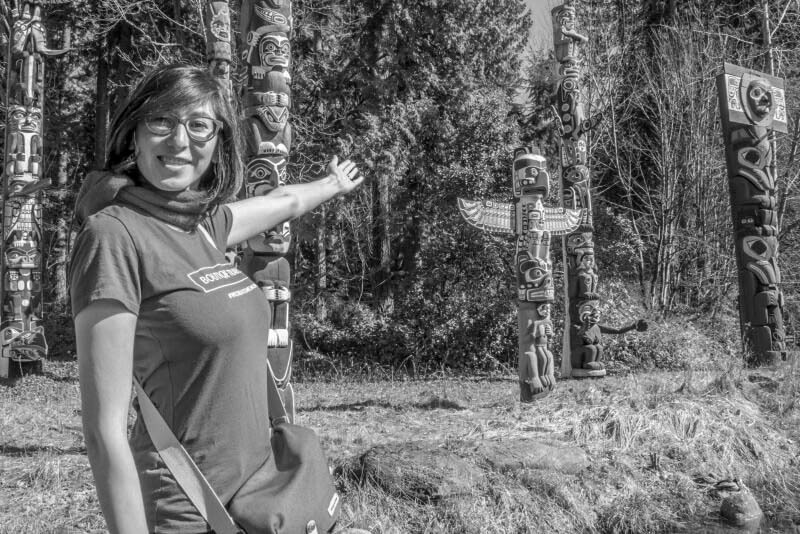 Jessilyn has previous experience doing history and nature interpretations at Capilano Suspension Bridge Park. Travelling is one of her favourite things to do and she hopes to one-day chase waterfalls in Iceland. Born in Central Asia, Acelle has been guiding and leading tours for 10 years in Samarkand, Bukhara, and Khiva as an English and Russian guide. In one of the caravanserais of the Silk Road, she met an adventurous Canadian photographer and married him. They travelled around the world and have settled down in Vancouver for the time being. Acelle acquired her husband’s passion for photography and combined it with her love of guiding to join the Boutique Traveler Vancouver. Acelle got her Bachelor of Arts degree in World Literature from Tashkent State University. She enjoys storytelling, you can ask her almost anything. English, Russian, Uzbek and Uighur and sometimes a little bit of Italian. © 2019 Boutique Traveler. All Rights Reserved. 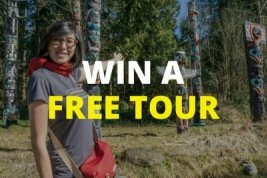 Enter our monthly tour giveaway for your chance to win a FREE 2-hour tour! Take up to 3 guests. Valid at all locations. What are you waiting for? Click below to be in the running.